In two days, it can scan the entire planet. “Soil moisture is very important because it’s a leading indicator of future vegetation conditions,” says John Bolten, a hydrologist at NASA’s Goddard Space Center. The amount of moisture in the soil tells you about everything from how well plants will grow to whether a flood is likely, and is a vital part of climate and temperature measurements. And yet our global soil moisture data has in the past been spotty at best. 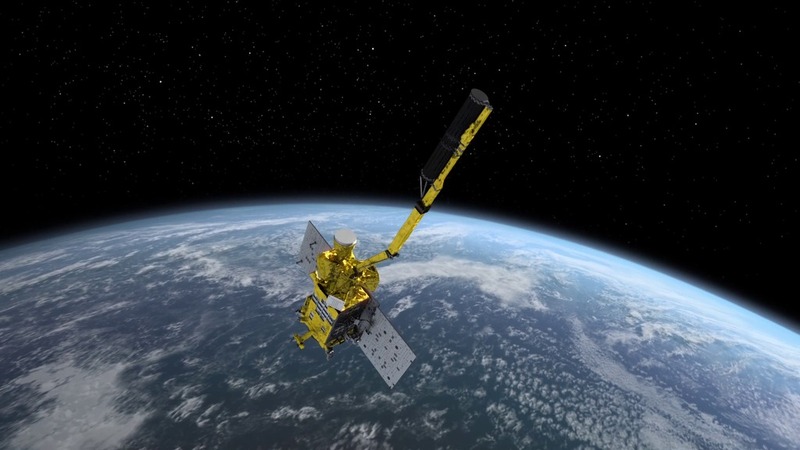 Launched in January 2015, SMAP – it stands for Soil Moisture Active Passive, not one of NASA’s best names – is the first NASA satellite to specifically measure global soil moisture. It does so via a two-pronged approach, one that’s sort of like a camera, one more like radar, to measure microwave emissions from the land’s surface. Those microwave emissions, it turns out, are highly correlated with the water content in the first five centimeters of the soil – so highly correlated that SMAP is accurate to within four percent. For now, it measures in blocks of 25 square kilometers, but NASA is figuring out ways to get smaller and more detailed. Soil moisture content is an incredibly valuable bit of data. It can be used to measure crop stress and the likely quality of crops, to save water, to predict floods and droughts and landslides, be used to measure the amount of water (and thus pesticide) runoff, etc. etc. SMAP, for the first time, enables outrageous amounts of accurate information to be gathered quickly; Bolten says that the satellite can map the entire planet in two or three days. The first round of data from SMAP became available a few months ago, but the USDA just this week announced that it will be incorporating SMAP’s data into its Crop Explorer tool. Crop Explorer is the USDA’s massive tool that shows real-time information on global crops; it’s used by agriculture analysts to predict everything from corn prices to whether there will be a flood halfway around the world. SMAP’s soil moisture data is a huge piece of the puzzle.